Trimmed on Three Edges, Color Touched. eBay I.D. robojo33 is the account used by someone calling himself "Perry Stroud". The mailing address (683 Nightingale Rd., West Hempstead, NY 11552) used by "Perry" on eBay is the same as the address for a house owned by "Richard Koos" aka Comic-Keys. "Perry Stroud" and "Richard Koos" at the same address.......	What a small world! 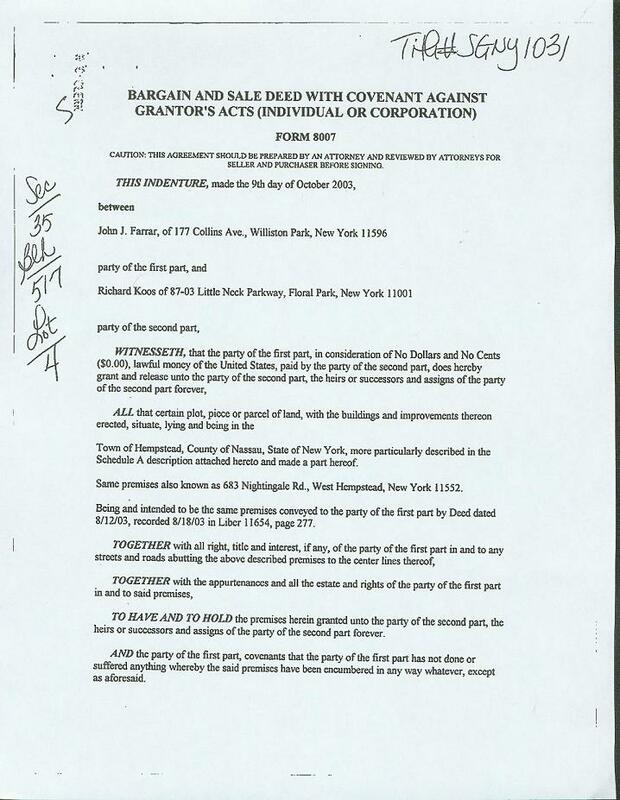 I should also mention that the Private Investigator that supplied the	copy of the deed was unable to find any record of anyone named "Perry Stroud" any where in the State of NY, ever. Go figure. He's an active dealer in highgrade Silver Age comics and sports collectibles, selling more than $5,500 worth in the past month on eBay. But with details of his transactions hidden by his use of eBay's Private Feedback and Private Auction options, mystery has swirled about him for three years. Some collectors have alleged he either is, or is connected to, a comics restoration artist famously convicted for fraud in the 1990s. Just as fervently, the dealer swears that he isn't, on the Web and via e-mail. That's been the controversy that's followed eBay dealer "Comic-Keys" for more than three years. It's a controversy that's now over. For the complete story as well as other CBG articles addressing the dangers of Private Feedback on Ebay see the CBG Articles section. Here's a picture that Comic-Keys posted of himself under his "Hammer" alias on the CGC Message Boards.